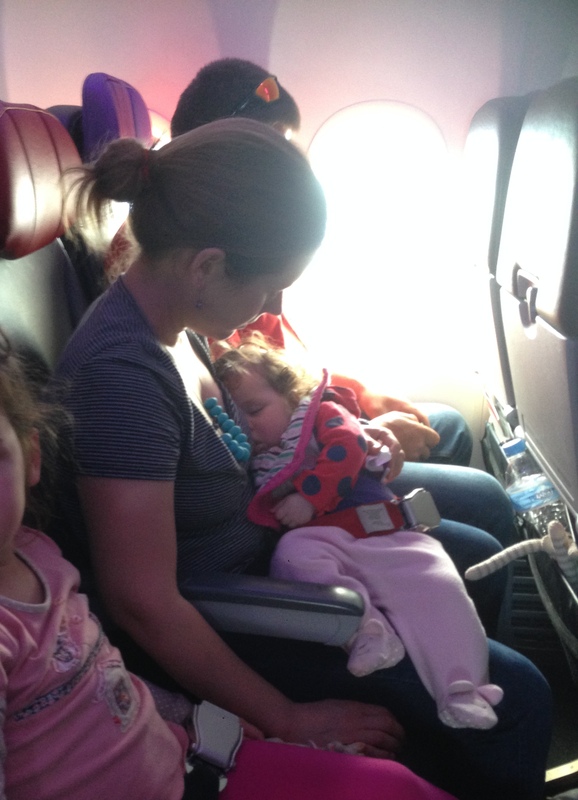 Flying with a breast fed baby. 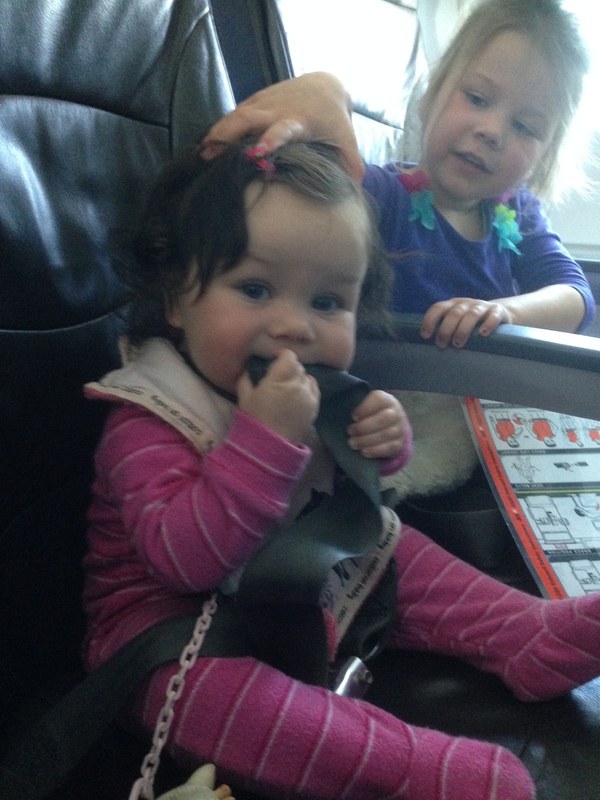 Last week was our first time flying with any children and we had three including a breastfed baby and it made me nervous. I asked a few friends and even googled breastfeeding on flights, but I only came across negative articles about woman who were upset about their experience, even one article that stated woman should not ask about breastfeeding in flight they should just wait till take off and do it anyway. So I looked up the policies for both airlines that we were travelling with about breastfeeding and Virgin airlines stated that “To help prevent their discomfort, breastfeed or bottle-feed your infant when the aircraft begins take-off and during landing. “ and Jetstar add “You are welcome to breastfeed your baby whenever suits you”. I was encouraged that this sounded supportive, but I wasn’t sure how I was physically going do this as both airlines state that you must have your baby in their infant seat belt when the seatbelt sign is on, so how was I actually going to feed my baby while she was strapped into her seatbelt. When I got on the first flight I asked the air hostess about feeding on take off who explained that the safest position for a baby during for take-off and landing was actually horizontal across my lap, which the seat belt accommodates, so that if the brace position was required my baby would be a safe a possible, which also makes a good position for breastfeeding. 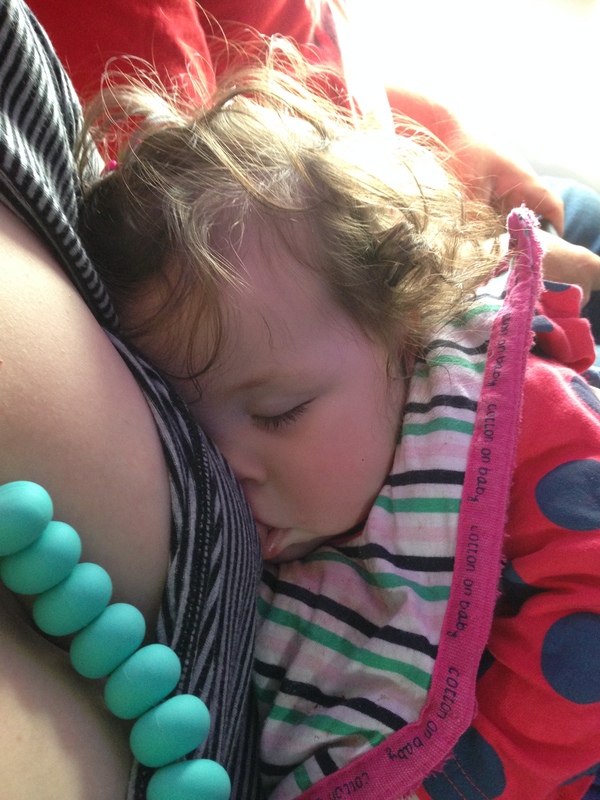 But like many things you worry about it wasn’t that bad, on the way there she just breastfeed herself to sleep. On the way home though she was much more awake and being fed on take off and landing (about 40 mins apart resulted in regurgitating milk all over me. But as least there was no crying. I have since spoken to other people about flying with babies and it sounds more difficult when the baby is bigger, especially if you are in the aisle seat as baby hangs out into the aisle when across your lap. I was also lucky to have my husband with me and a change of top at least.